He told me to kill myself – Chantelle. 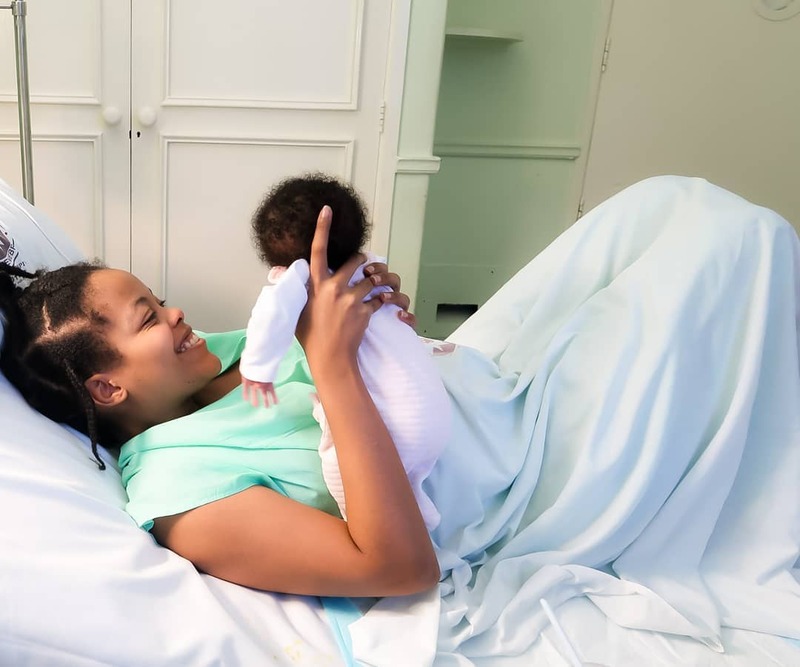 Chantelle Petite became a public figure after opening up about developing a vaginal fistula due to the gross negligence of the hospital where she delivered her daughter ‘Booboo’. After sharing her story, fans came together to raise 2 Million shillings that would help her undergo a number of surgeries to correct the situation. Booboo’s mum has now come out to expose her baby daddy and painted him as a pathological liar, cheater and cruel. “My baby daddy has been talking trash about me on the web and I’m fed up. He is a pathological liar who has hurt so many women over the years. I think it’s time to expose him because I’m tired of the mind games he plays,” read her post. “He told me countless times he was single and there was no one in his life. He made believe that I’m the love of his life I believed him. I loved him dearly with all my heart,” she confessed. Chantelle came to find out later that the guy was married. The mum-of-one disclosed that her baby daddy was so cruel that he kissed a lady right in front of her while she was pregnant. In addition, he encouraged her to kill herself when she was going through a depressive episode and even recorded the whole incident which he used to blackmail her later. Following Chantelle’s confession, people have turned their attention to actor Ephy saint who is said to be the baby daddy. 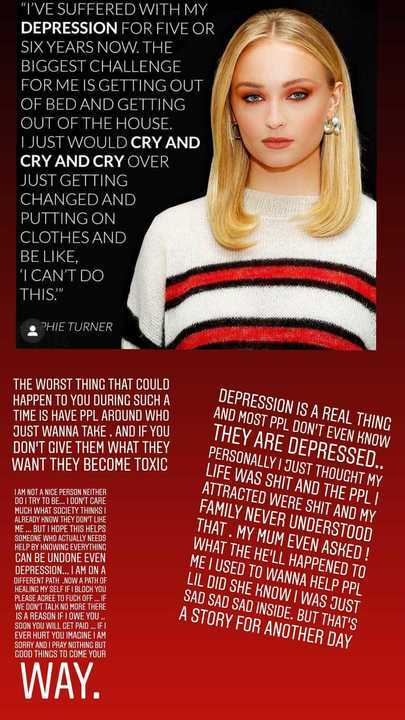 In response to Chantelle’s post and all the drama surrounding him, Ephy claimed that he has battled depression then accused Chantelle of clout chasing. “I am not a nice person neither do I try to be, I don’t care much what society thinks I already know they don’t like me….I am on a different path now. A path of healing myself if I block you please agree to f*ck off, If we didn’t talk now more there is a reason. If I owe you…soon you will get paid. I ever hurt you imagine I am sorry and I pray nothing but good things come your way,” wrote Ephy saint in part. In another post, he said that he is a present husband and has been there for his first daughter Azahria who he says saved his life. He accused Chantelle of clout chasing yet he has changed more diapers than most men double his age. “Name dropping is a way of clout chasing so I choose not to name drop no one, I raise my daughter alone of course with help but I have changed more diapers than most men double my age. 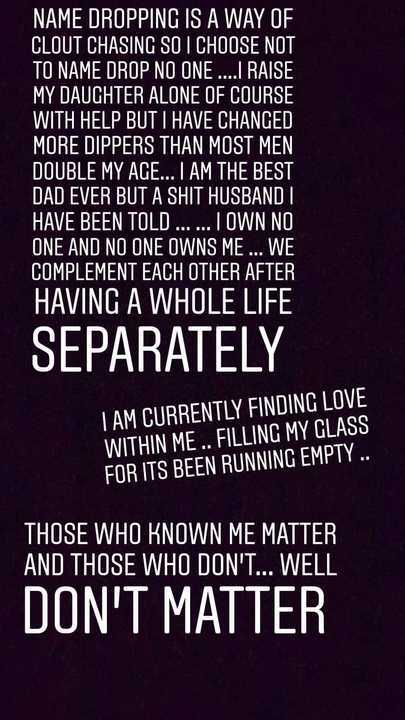 I am the best dad ever but a sh*t husband I have been told, I own no one and no one owns me, we complement each other after having whole life separate. Those who know me matter and those who don’t know me well don’t matter,” he posted.